High-strength USA-made ALNICO magnet, assembled in USA. This longer style was developed for the aluminum oil pans but are great for steel pans too. 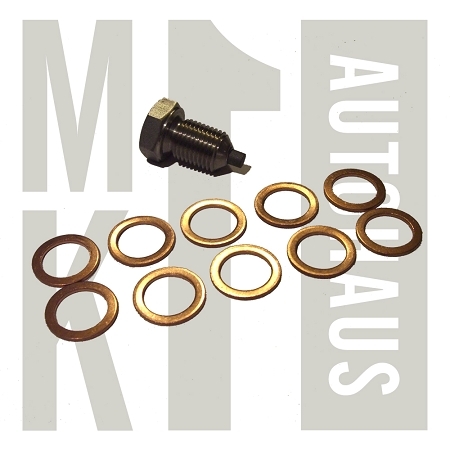 Kit includes 10 copper seal washers.